Choosing the best contemporary lighting fixtures for your home can be a difficult task, especially if you have different room styles. People have different tastes of homes, and it will be advantageous if you know how to select the best lighting features for your home. You might think that it is not a big deal, but it is after all. Each rooms of your home should have different sets of these because they set their own purpose. For example, the living room should have a different lighting fixture compared to the bedroom. The same applies to the kitchen and dining area. The living room is the busiest room in homes. People usually stay in this place to relax or do their personal stuff. That is why it is recommended to make the lighting of the living room bright. The Modern Light Wave LED Pendant Light is perfect for a warm and cozy living room. It features a beautiful wave design that creates a relaxing feeling. 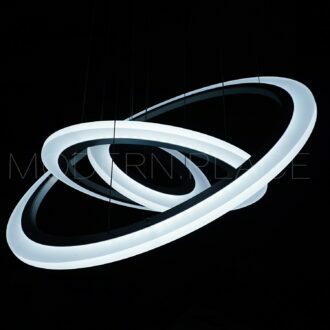 The Light Wave pendant light can give off up to 4,400 lumens, which can give off a very bright light. The length is 42 inches, so one of this is enough to light up an entire room. The great thing about this light is that you can choose from warm light or cool light. It all depends on your preference and activities in the living room. It won’t hurt your eyes even if you look at it because the illumination is just okay. This is indeed a perfect light for your living room. Another thing that you will like about this is its energy saving feature. You don’t need to worry about skyrocketing utility bill because its LED light is cost-efficient. The bathroom is usually the place in our house that is taken for granted. This place also deserves to be maintained and beautified. Most people prefer not so bright lights for their bathroom. If you want style in it, then the Tree Linear LED Light is the perfect choice for you. This lighting fixture will take your bathroom to the next level. It gives a sense of style and comfort. It will make you love spending time alone in your comfort room while you relax and pamper yourself. To create a more unique design, you can avail three of these and connect them together. That will surely make a new effect. Wouldn’t it be nice to gaze on its warm light while you enjoy your time in the tub? The dining area is a place where the family dines together for a sumptuous meal. Since this place is meant for that, it is important to create a light and welcoming feeling in the dining area. You can create this by putting different elements together. One sure way is improving the lighting fixture in the dining area. The Two Wave Light Fixture is one of the most sought after designs for the dining area. 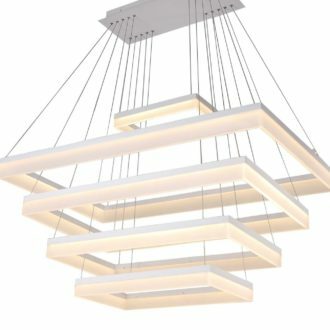 This is one of the newest designs that will surely light up the living room. Although it has a slim design, it has the capacity to brighten up a normal size dining area. The style of this light is perfect for long tables because it will complement its length and wavy design. You can set the light to cool or warm, depending on the mood you would like to establish. You will surely appreciate it each time you will eat with your family. Another good thing about this is the relaxing movement of the wave design. It is appealing to the eye. That is why when you look at it, you will instantly feel refreshed and relaxed. Improving your home will never be complete without lighting fixtures. They are needed to brighten up the rooms in your house. Each room has a different style of lighting fixture that will complement it. It is advisable to consider the recommendations mentioned in this article to come up with an inviting home. Check out other lighting fixtures in Modern.Place to see the different and contemporary lighting fixtures that will surely improve the overall ambience of your home.